Almost every parent or guardian has a schedule of when his child's first visit will be at the pediatrician's office. But a child's first visit to the dentist will vary, depending on the opinion of the dental practice. The American Academy of Pediatric Dentistry is encouraging parents or guardians to have their child seen when "the first tooth appears, or no later than his/her first birthday." Dr. Andrew A. Beuttenmuller, a pediatric dentist in Watertown, said early intervention will lead to good oral hygiene practices and the prevention of decay. "I have a lot of people think of baby teeth as baby teeth, and when there's a problem take them out," he said. "They play more of a role with development." A lack of brushing even a child's first tooth, or flossing neighboring teeth, combined with what a child eats and drinks, can play a role in baby teeth possibly becoming infected. Dr. Beuttenmuller said that infection could be a problem for the developing tooth underneath it. While most infections are localized, he said, they can spread to other teeth, and, in the most severe case he has seen, caused a child's eye to close. That ideally will be avoided through outside, specialized training sessions and visits to area schools for Dr. Beuttenmuller's staff. "If I can get a first-time parent who doesn't know not to do the juice in sippy cup at bedtime, that's huge," he said. "The goal is to catch cavities when they're in the small range." The larger goal, he said, is for people to be cavity-free. Dr. Scott R. Day, a general dentist, said he likes staff at Gouverneur Dental Associates to see a child when his or her first tooth comes in because "we can do a lot with parent education at that time." "They need to know dental disease is a communicable disease," he said. "Parents who have dental diseases can transmit it to their kids. Dental disease also can turn into systemic diseases." To avoid that, the solution starts with prevention, he said. Brushing teeth should be made a habit every morning and night, beginning when a child's first tooth arrives. Dr. Day said a child's first visit to his office may entail more of a fun introduction to the staff, so children are comfortable and recognize that it's not another pediatrician office. Some children get scared about dental visits in their youth, and it sticks with them through adulthood, he said, which is something he wants to help prevent. At the office of Dr. William C. Tinelli, Watertown, dental hygienist Tenaha L. Sparacino said young children are encouraged to attend a dental visit of an older sibling or parent. While parents or guardians may bring their children to Dr. Tinelli's at an early age, she said, patients are encouraged to have their first appointment at that particular office when the child is around age 4. 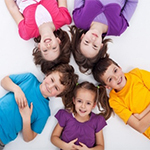 For more information about pediatric dentistry, visit www.aapd.org.